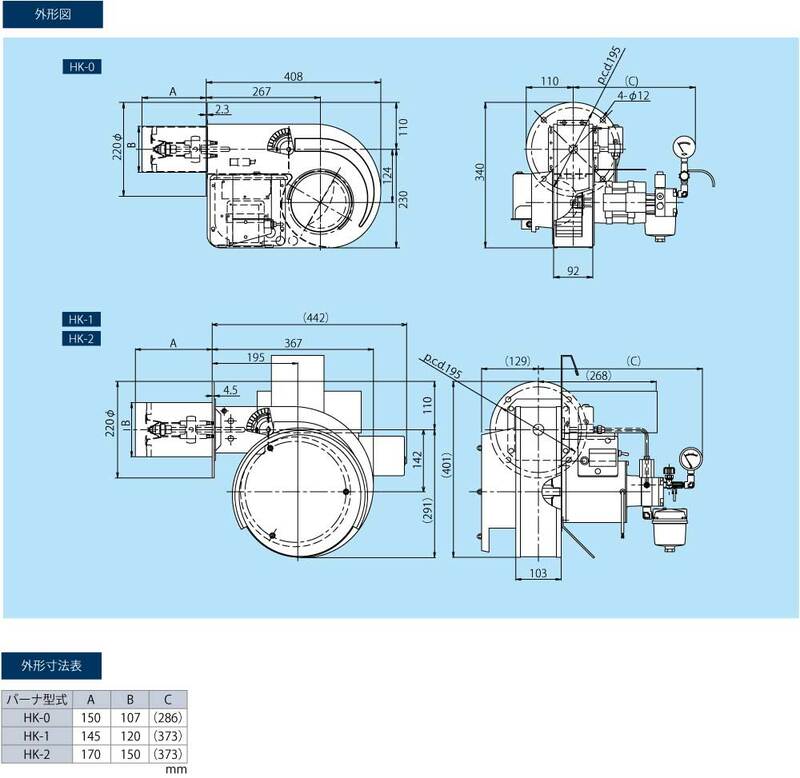 HK burner is compact and low cost burner, and it suits to be used for small size of hot water boiler, hot air heater　and through flow boiler.HK burner is most suitable for mass production. ・Thanks to pressed iron plate main body, HK burner is right, robust and low cost. ・Since a silencer is basic equipment, HK burner works with small noise. 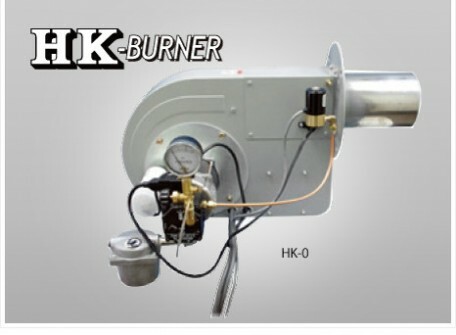 ・For mass production, HK burner is designed focus on maintenance and cost.